The procedures for subtracting numbers in a row are somewhat different from adding numbers. Nevertheless, you can still easily to do this. 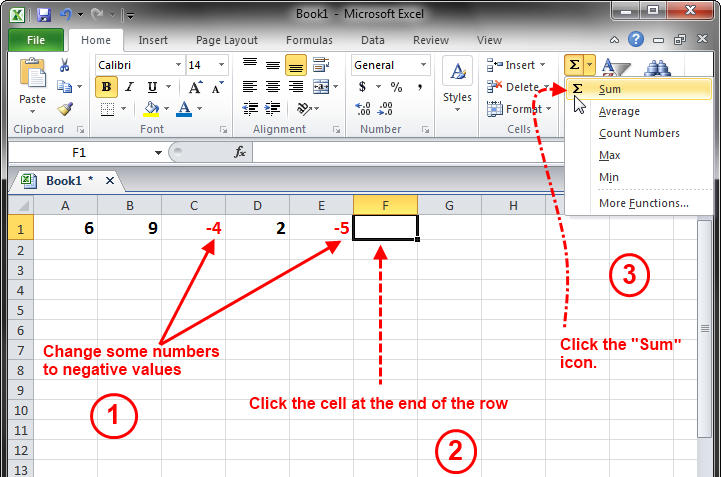 This guide shows how the different techniques to subtract numbers in rows conveniently when using Microsoft Excel. Change some of the values in the row to negative numbers. The AutoSum feature does not work the same way for subtractions as it does for additions. For example if you have 6, 9, 4, 2, 5 inside a row, and want to subtract 4 and 5, change these numbers to negative values. The row will then look like this: 6, 9, -4, 2, and -5. Now when you click the AutoSum icon, it will automatically subtract 4 and 5 from the row (see the image below). Click the cell at the end of the row. Move the cursor to the top-right corner of the window and click the Sum icon. 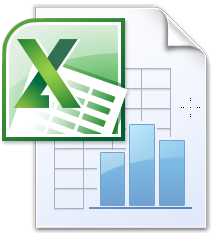 Microsoft Excel will then enter a formula that looks like this: =SUM(A1:E1). 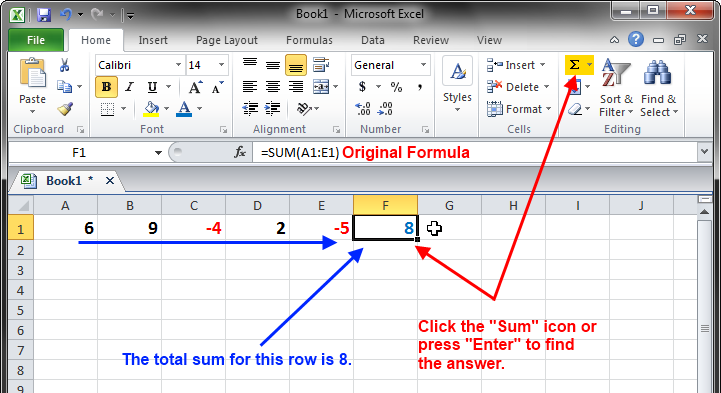 This formula indicates that you are trying to find the sum for from cells A to E in row 1. Press the Enter key on your keyboard or click the Sum icon again to find the answer. Since you changed 4 and 5 to negative numbers, they will automatically be subtracted from the rest of the numbers. The final solution for the problem is 5 (see the image below).